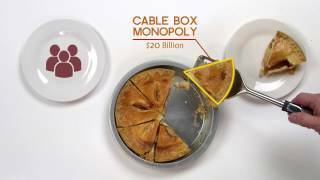 Do the Verizon/Cable Transactions Spell the End of “Facilities-Based” Competition? The Verizon/cable deals are a bad deal for consumers and a sad sign of the state of the communications market. But at least they finally expose the state of broadband competition for what it is. In particular the deals illustrate, through the actions of the companies themselves, that mobile wireless is not a "competitor" to wired. They're different products with different uses. This is an obvious point to most but the hope that the broadband market was going to get competitive "real soon now" due to the pending arrival of some kind of wireless competitor or another has driven many of the FCC's policies in the last decade. Unfortunately these policies have had the effect of undermining actually existing competition in the broadband market to pave the way for this prophesied competitor. As it stands the FCC's record in predicting the future is on a par with Harold Camping's. What the FCC keeps on expecting to happen is called "facilities-based competition." Proponents of this idea often do recognize the natural-monopoly characteristics and economies of scale common to communications infrastructure industries, particularly for last-mile facilities, but are skeptical of the traditional sorts of regulation that promote competition on a given set of facilities. 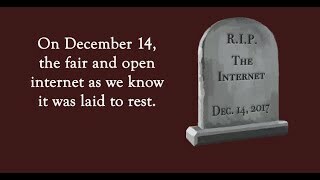 (Broadband unbundling or open access rules like those common today overseas and the system that allowed thousands of competitive dial-up ISPs the flourish in the 1990s are examples of these sorts of policies. Rules about roaming would be another example.) Instead they try to promote competition between providers each of whom provides its own complete infrastructure. In certain cases this policy has met with success. For example, although it hasn't been able to bring prices for cable itself down, DBS has proved to be a successful low-cost alternative to cable. In other cases, however, expected future facilities-based competition has not materialized (witness the failure of broadband-over-powerline), or existing competition has proven less robust than hoped (as cable goes largely unchallenged as the high-speed broadband choice, except in a few well-to-do neighborhoods with fiber). One key premise of facilities-based competition is that the nature of the infrastructure in question would bypass the bad economics that makes overbuilding, in most cases, an economic loser. The key factor in this was often that the facilities were already built, usually for other reasons, and could be repurposed to become suitable for video or broadband competition. For example, due to the nature of past technologies many houses already were wired with increasingly-redundant wired infrastructure (cable and twisted-pair copper), and the complementary nature of wireless service would justify wireless data buildout even in the presence of strong wired competition. In the case of wireless, it was hoped that this once-complementary technology would morph into a full competitor as new technologies were rolled out--this is the mythical "third pipe" broadband competitor (the other two being cable and DSL). But this analysis overlooked something important: not all technologies are equal, and with time their inequalities become more pronounced. No amount of marketplace pressure can make DSL an adequate competitor to cable or fiber if the physics doesn't allow it, and similarly, even 4G mobile wireless is by no means an adequate substitute for wired broadband. Neither the usual performance characteristics nor the reliability of wireless data is on par with wired broadband. The typical network management and billing practices of wireless broadband providers serve to underline the inadequacy of mobile wireless in particular as a substitute for wired Internet access. Users have known this for some time but it's taken longer for the policy community to catch up. As a means to avoid regulation, providers in particular have long puffed up the level of competition in the markets they operate in, including by pointing to communications products that are far from substitutes for those they provide. If mobile wireless was a substitute for wired we'd see large numbers of people dropping one for the other. But people who can afford it tend to have both. It's fair to note that wireless has substituted for wired telephones for millions of people, but this is a fairly low-bandwidth application--there are no hopes in the near future for a mobile broadband wireless service that affordably matches all of the performance characteristics of cable or fiber and can sustain the same sort of use. All of this is part of the backdrop that illustrates why these deals are so significant. Verizon Wireless is the nation's largest wireless Internet provider and cable companies like the ones it has partnered with tend to be the dominant wired broadband providers in their markets. While these deals represent threats to actual and potential competition in a number of markets, they are also a tacit acknowledgement by the parties that their respective Internet access products do not compete. If cable broadband represented true competitive threat to Verizon wireless, or vice versa, these deals would not have happened. Going forward, the Commission cannot factor mobile wireless services into account when it considers the state of broadband competition (e.g., in its annual Broadband Progress Report). The actions of marketplace actors themselves back up what its obvious: mobile services like Verizon Wireless's 3G and 4G data access are distinct products that complement, but do not fully substitute for higher-speed, higher-capacity, and more-reliable wired broadband. These deals between Verizon and the cable companies show that the dream of a wireless "third pipe" into the home is, for now, still a dream. Communications policies should be built on a firmer foundation.